We had a small Fourth of July celebration. Our daughter-in-law is recovering from having her wisdom teeth extracted so there were no big party either at their house or at ours. Plus it is a little hard to get revved up when so much is going wrong (in our opinion) in the U.S. at the moment. A few years ago our grandkids, our daughter, and I made a patriot tissue flower bouquet. I saved it and bring it out for July 4, Memorial Day, and Labor Day when we are apt to have grilling parties. We also play a mixtape that John made in 1984 of patriot and celebratory music. That year when the kids were 4 and 7 we organized a giant block party with games, swimming, and even a fire truck. It was great fun. 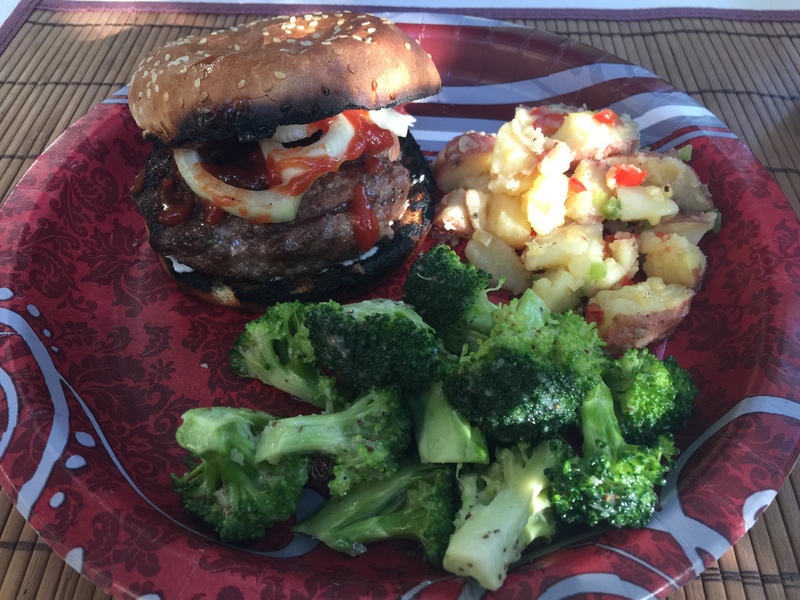 Our dinner consisted of grilled hamburgers, an olive oil rather than mayo potato salad and a sweet and tangy celery seed broccoli salad. It was all good but I felt a little sad that the whole family had not gotten together. I guess it is up to me to make things happen. Sigh. 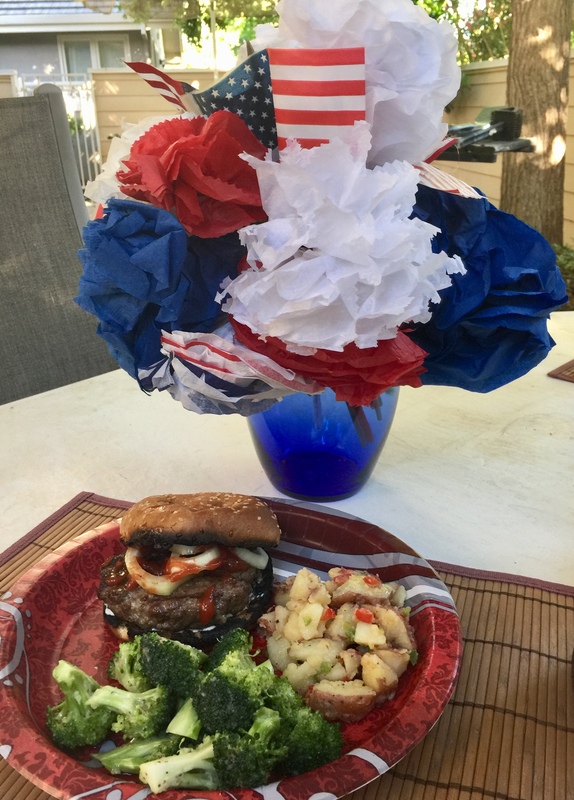 This entry was posted in American, Beef, Grilling, Vegetables and tagged broccoli salad, hamburgers, Potato salad. Bookmark the permalink.